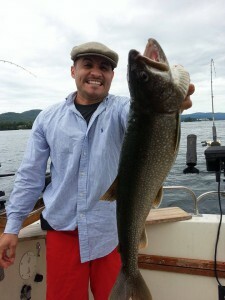 Home > Uncategorized > Lake George Fishing Charters and Great September Events! 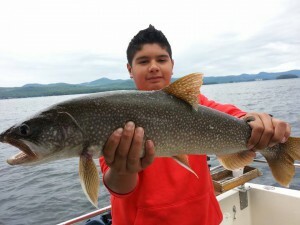 Lake George fishing reaches its peak in September and if you’re planning on coming out to the lake, be ready to reel in some beautiful lake trout. 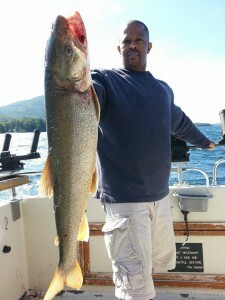 Lake George is your September weekend “go to” for family fun , fishing, music and more. 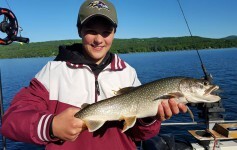 Classic cars roll into Lake George Village for one of the season’s favorite events, the National Car Show , Sept 5th and 6th, and for music, you’ll want to mark your calendar for the Lake George Jazz Festival Sept, 13 and 14. You can head over to the Glen Falls Balloon fest September 18th. 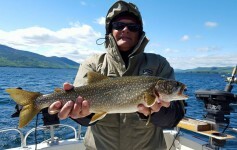 Fishing has been spectacular aboard the Highliner the past couple of weeks. 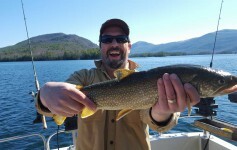 Enjoy the photos, and plan to take a few of your own on the Queen of America’s Lakes! Previous Article Book Now for Labor Day and September !